Helping small business retailers cut employee theft | A blog about smart POS software for independent small businesses. Employee theft can hit a retail business hard, especially if the business does not have a retail business theft policy in place. For many years we have advocated to our retail business customers about theft and how to manage the risk for the benefit of the business and those who depend on it. yet, unfortunately, too often retailers ignore what they must do until they have discovered theft. We are on a mission this week to encourage and guide our almost 3,000 small business customers to manage their businesses for theft, especially employee theft. Our POS software has excellent tools and facilities through which the retail business owners can reduce the cost of theft and more easily discover possible theft situations. We back this with advice on best practice theft management in retail. Our advice draws on our own experiences in retail as well as our considerable experience helping others through work with the police and prosecution in court cases. We understand the role evidence plays and have tuned our software over the years to provide evidence necessary to discovering and prosecuting instances of theft. 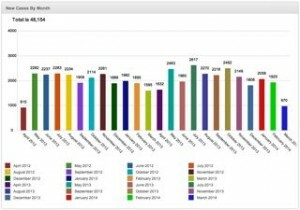 Using sales by time, roster and other facilities in smart Point of Sale software, retailers are able to adjust employee hours to suit the business. Too often we see retailers leaving a roster in place because it has always been set to operate in such a way whereas the actual roster does not reflect the needs of the business and the timing of customer traffic and transactions. Using reports and other tools in our POS software, we can help retailers either trim rostered hours or redirect time to when there could be a greater need in the business. Adjusting hours is a valuable benefit from good use of our software. We back the facilities with advice and assistance to retailers on actually achieving the changes necessary in their arrangements. The assistance from Tower Systems to retailers in this area of employee scheduling is another way Tower Systems helps its customers beyond the software – drawing on our many years experience using our POS software in our own retail businesses. The Tower Systems QRki, QR code publishing and access platform for retailers, is available to retailers and other businesses for free in another helpful software service from Tower Systems. Retailers and other small business operators can make videos, files, competition entry forms, Facebook links and other online content accessible through a unique QR code they generate using the QRki website. Many QRki facilities are free. We created QRki to help small businesses harness the opportunity of QR codes without needing to invest in software of their own. QRki is another example of our commitment to small businesses and independent retailers. We’ve also enabled QRki for anyone to use – you don’t need to be a Tower Systems customer. 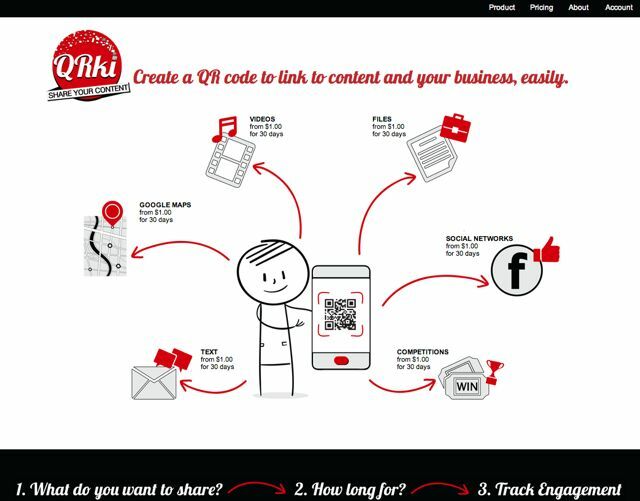 Developed and designed in Australia but for use from anywhere in the world, QRki is another example of cloud based innovation for small businesses. QRki is available now for anyone from anywhere to use regardless of POS or other software used in the business. Tower Systems is proud to be part of a group of Australian newsagency suppliers working together to strengthen the future of retail newsagency businesses. With an agenda of driving traffic, improving margin and facilitating a greater spend per visit, this group of suppliers is demonstrating commitment to the channel. History has shown that newsagents who act as retailers have a brighter future than newsagents who act as agents. It has also demonstrated that attracting shoppers across a broader base of products over which you exert control as a retailer is financially healthier for your business. 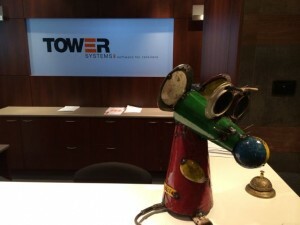 Tower Systems is contributing data as well as its own retail experience and experimentation to this most important work. We believe in leading by showing and the regular visits to our gross profit leading newsagency businesses where some of the work of the group is already delivering excellent rewards certainly shows leadership in action. Not all suppliers to the channel are in this group. From the start of the day in New Zealand through to the end of the day in Perth and Asian countries, our POS software help desk is open for business assisting retailers. We have a professional team with hours structured to ensure coverage when people could need us. This help desk team is backed by an accessible leadership group for escalation of any issue as necessary. Accessibility to knowledgeable live support is key to the enjoyment by any retailer of their POS software. We understand this and have structured our support to deliver. While it’s 7am right now in Melbourne, the location of our head office, we have some clients who have been trading for several hours and others who will be open for business until 3am our time. Being structured to offer assistance across such a long day is important to the support promise we make to our customers. We loved one of the products sold by a supplier to retailers in a couple of the retail channels we serve that we bought something for our reception area. This cute mouse brings a smile to the faces of visitors and it reminds us of our customers in the garden centre, pet shop, homewares and newsagency retail channels. We like the fun and colour of this cute mouse. We’re not your average software company. Finding the box that goes with an item that a customer wants to purchase can be a challenge for any retailer. The Tower Systems POS software helps retailers remember where the box is stored – showing this information when the items is scanned in the POS software. Knowing where a box is within the business can save time in the sales process and help the retail business to serve customers more professionally. This can be money in the bank as it supports a professional and timely customer experience. Retail customers who enjoy the experience will be back sooner. The facilities in our software for tracking where boxes for gift and other items are in-store are another way our POS software helps retailers make more money from their technology investment. 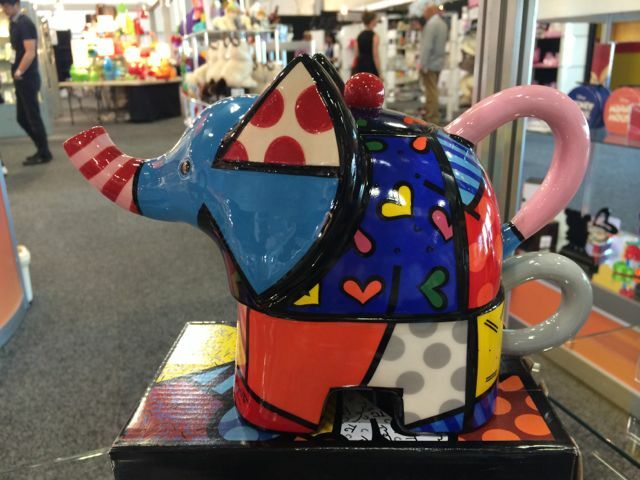 Collectors are valuable for retailers whether they collect magazines, plush items, tea pots, types of plants or books in a series. Collectors, over the life of the collection, can be tremendously valuable. In our POS software we help retailers who serve collectors to better serve their needs. We do this through smart facilities and communication tools for tracking stock for collectors and advising them that the stock is in and available. We also help retailers by personalising product pricing labels with collector customer names. Plus we track customer value thereby helping retailers to focus attention where it is more important to the business. 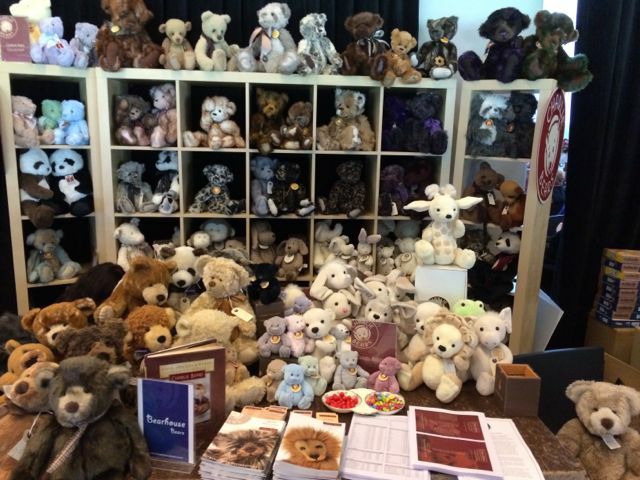 Collectors are valuable customers and we help our retail partners to understand this. 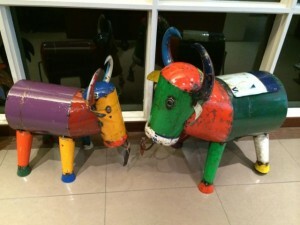 In the office for the last few days we have had these animals roaming around getting in the way. Okay, the only roaming they have done is when we have moved them. No, we didn’t ride them. They are part of a range stocked in leading garden centres, homewares stores and newsagencies with a strong gift pitch. We have been fortunate to have the animals here thanks to some work we have been doing with a supplier. Getting to see products sold through our software and work through unique situations with some products can help us serve our customers better. There aren’t many software companies where developers, support team members and others get to play with products their retail customer sell. We’re not your average POS software company. We are offering help to newsagents currently using the POS Solutions newsagency software to switch to us. This help is above and beyond the usual assistance in training and supporting a newsagent and their staff when they install our software. Recent insights have assisted us in helping POS Solutions users make the move. We are grateful to former POS users for their assistance in this important project. We appreciate the information shared by retailers with experience in our Point of Sale software and the POS software from Retail Express. The comparative information from people with experience with both software packages is proving to be invaluable to us, it helps us explain to software prospects how Tower Systems software is better in a business management sense as well as in a financial sense. While Retail Express is a formidable company we welcome opportunities to show our software function for function against theirs on the count in the back room – showing where we offer a better solution than Retail Express. Such a comparison of the two systems can win our business, helping retailers choose our POS software based on its functionality and the live face to face backup service and training we provide. Comparing POS software m=packages is invaluable. Retailers will often find that POS software companies don’t like such a live comparison. Here at Tower Systems we welcome it. The question to ask of a POS software company that refuses such a comparison is why are they scared of such a comparison? 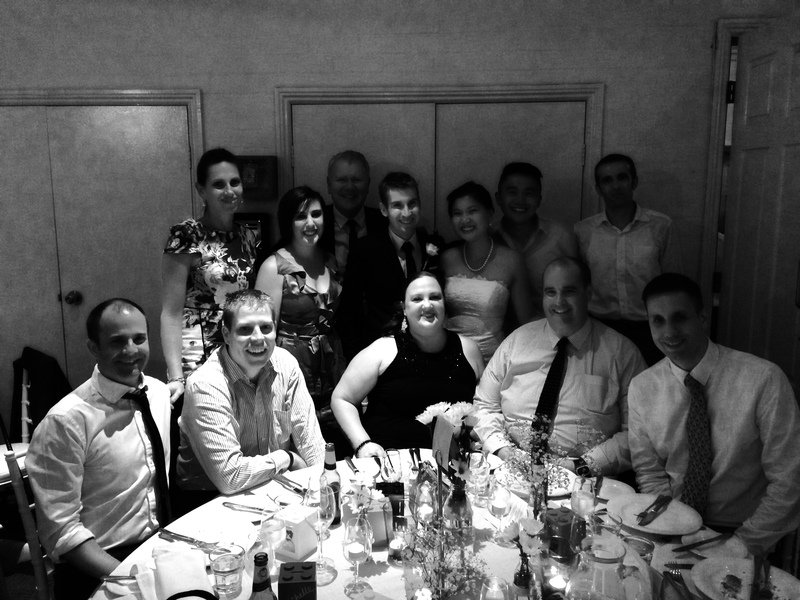 Some of our team were able to share in the wedding of our Customer Service Manager Mike Hill to the beautiful Kim Tran yesterday in the Hunter Valley in NSW. 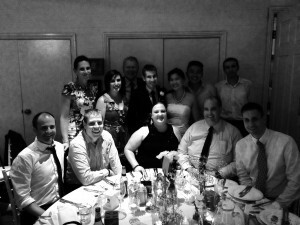 The wedding was wonderful and the socialising at the reception a treat. The photo shows team members and some loved-ones who were able to make the special occasion. We are thrilled to have been able to be part of such a special occasion. We are seeing banks chase retailer eftpos business with low fees and other deals. Our advice is do your homework, read the fine print, get all offers in writing and only agree once you are completely satisfied. Too often we see bank eftpos offers are not as good as they claim to be in the longer term and often retailers find themselves contracted to a deal that does not work for them. So our advice to retailers today is to do your research on eftpos offers from banks. Don’t sign unless you are 100% sure. Tower Systems is thrilled to offer more live POS software training opportunities to retailers in coming weeks, offering a consistently regular free training to users in a broad range of topics – including new topics just added. Tower customers can brows the list of training on the training portal of our website. They can book online and add it to their calendar online. All very easy. The sessions themselves are live, interactive and professional. Showing off an excellent point of difference for Tower Systems customers. With more and more POS software companies pushing customers to help desks where people follow call scripts so as to not deviate off the path and with many software companies not offering personal contact details of management, here at Tower Systems we are proud to have a documented escalation process through which any of our customers can access senior management assistance on any issue. Our escalation process is used often – usually not for a complaint but to seek more business operational related assistance that it outside the scope and knowledge of the usual help desk call. We appreciate the opportunity to serve our customers with this assistance. Hubbed is a start-up bill payment and parcel sending platform being promoted to newsagents. It started and was offered for a year as a stand-alone platform – through a kiosk and or a website interface. Recently, Hubbed has been promoting an interface to another newsagency software program. Tower Systems has never been approached to interface to Hubbed. We stand ready to add Hubbed to the many facilities, services and products we link / interface to. As the newsagency software company with more current newsagent users than all other newsagency software programs combined and with around three times the number of newsagency users than our nearest competitor, our leadership in the channel is well established. Hubbed is the first time we have not been first with something for newsagents in our 32 years serving the channel. There is politics and personalities at play here unfortunately. We remain ready to interface is Hubbed wishes. Many small business retailers using the POS software from Tower Systems actively engage in suggesting enhancements for the software and many of these suggestions make their way into the software. Retailers regularly thank Tower for the opportunity to publicly make suggestions and for the transparency of voting by and feedback from others about the suggested enhancements. Indeed, the level of transparency Tower Systems has offered in this area for years now is rare. Some claim user engagement but it is hard to find another software company living the transparency claim like Tower. The real test of the exclusive Software Ideas facility from tower Systems is the enhancements that make their way into the software. Hundreds of enhancements including new facilities, large and small, exist in the software today thanks to user engagement in making suggestions and voting on these suggestions. 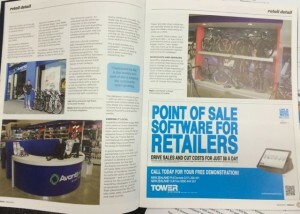 It is proving to be a valuable process for tower Systems and its retail business customers. It is a measure of the company’s confidence that the facility is promoted on its website home page and that the list can be accessed by anyone including competitors. 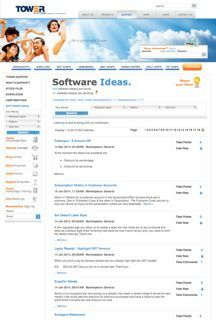 Software Ideas is managed by a senior member of the software development management team within the company and the overall Tower leadership team makes final decisions about ideas it embraces. All ideas receive feedback from the company. Earlier this week we installed our first beta site of a new release of our pet shop software. This new release contains several pet shop specific facilities that serve very unique needs in the pet retail space. Our handling of the needs positions is as leading software given that the enhancements were developed with pet retailers themselves. This work and our with pet suppliers is helping to considerably grow our penetration into the pet retail space. 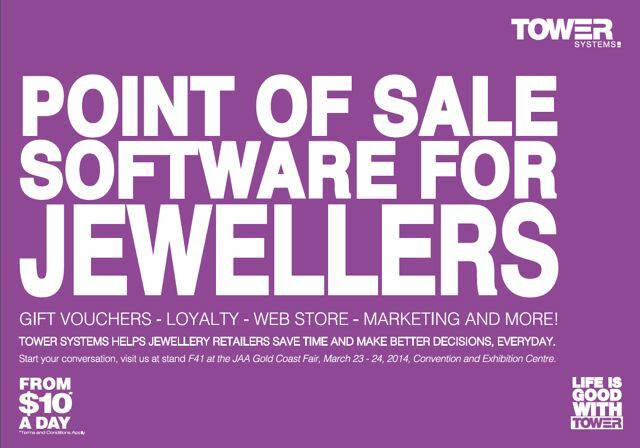 Tower Systems, a member of the JAA, is participating in the JAA conference / trade show event this coming weekend on the Gold Coast showing off the latest release of our jeweller software. 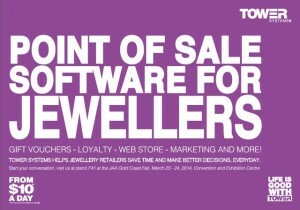 Our latest Point of sale software for jewellers is being used by jewellers who have switched from ARMS, Swim by Octahedron and Retail Edge. Our jeweller experts can help jewellers make the move to Tower. We can also help jewellers without software make the move to proven feature-rich jeweller software that has been designed to specifically serve the jeweller businesses – from the sales counter to the workshop. Our software benefits from updates that include enhancement suggestions from our customers. This transparent process of harvesting and nurturing suggestions from jewellers using our software has proved to be wise investment by us as it has brought our jeweller software even closer to the needs of proactive jewellers who want their software to help then focus on their own business points of difference. On the Gold Coast in a couple of days be ready to see new software with which you can grow your jeweller business. We have tested and loaded the following stock files to our website for users of our Point of Sale software. While user numbers for our POS software continue grow, calls to our help desk have remained steady over time. This is due to increased use of the extensive knowledge base that is searchable by our customers through plain English queries, the extensive professional video training library and our free one on one and live training opportunities that we lead with. The graphic is a live image direct from the management dashboard of our Sugar CRM system that tracks all customer interactions here at Tower Systems. We can plot this help desk call data with video training engagement and knowledge base searches and see that the enhanced self-serve resources are being loved by our customers as they make the most of opportunities for learning more about our software. Once you overlay customer and revenue growth you can see call traffic steady even with significantly more customers. the results are encouraging for us to invest even more in self-serve facilities. We have been doing this in 2014 already by publishing even more fresh peer-reviewed content into our knowledge base. We are thrilled and encouraged with customer feedback from this. Knowledge base content can be commented on in the knowledge base – allowing customers to add their own knowledge. It’s moves like these: transparency over call traffic, access to excellent training, access to a powerful and mature knowledge base and live one one one support that makes for good POS software customer service. It’s a reason we’re growing. Here at Tower Systems we believe that actions speak louder than words. While we can make all sorts of announcements about new software or customer service changes, only proof counts when it comes to such announcements. The software industry is littered with businesses that make announcements in an effort to keep up with their competitors who spend more time and resources delivering than making announcements. For example, we announce changes to our website when they are real and can be seen. We announce new software when it is available to be used. Our advice to small business retailers is to beware of announcements without proof of what the announcement claims. 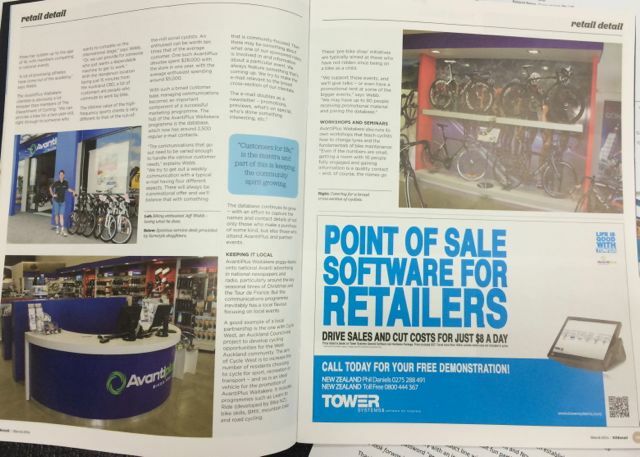 The latest issue of respected NZ retail magazine NZRetail has a multi-page article on a new Avanti Plus bike shop that is using our software at the heart of their business. This editorial coverage is timely as it coincides with growth in our customer base on New zealand with more retailers in our specialist retail niches including bike shops, gift shops and others partnering with us to use our software and grow their businesses. By targeting specialist retail niches we are serving the needs of these retailers in a highly specialist way that better helps their businesses leverage their unique offering. Our software genuinely helps them do this and the NZRetail article speaks to that specialisation. The exclusive and extensive suite of POS software training videos from Tower Systems accessible through our online curriculum management platform continues to win kudos from customers. This training permits genuine 24/7 training. It also helps retail business owners more effectively train new staff in the use of our software. With all engagement tracked, retailers and their employees can see progress as users of the software work towards completing modules and thereby developing a mature and helpful knowledge of the software. The image is a snapshot from the Tower website showing off videos that have been viewed by two different users. In one case, a user of the software spend over an hour on training on Sunday March 9. The transparency of this data helps us, the user and the retail business owner. We love helping small and independent details grow stronger and healthier retail businesses. Through our software, business advice and management assistance, we help independent retailers grow and love their businesses more. The video we released a few months ago is proving inspiring. Small business retailers can grow their businesses and we’re thrilled with opportunities to help.